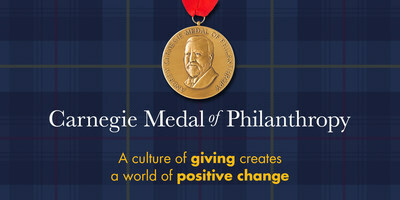 celebrating Andrew Carnegie's philanthropic ideals. the transformative power to use wealth for the betterment of humankind." and permanent good in this world." field, nation, or community of people. New York Public Library's Stephen A. Schwarzman Building on October 3, 2017.
of BBC World News America, will serve as master of ceremonies.